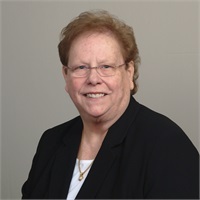 Barb is a licensed insurance agent focusing on Medicare products for our 65 and older clients. Prior to joining One Source Advisory, Barb was a Regional Manager for a large Medical Diagnostic company for over 25 years where she was responsible for customer service and satisfaction. Barb uses those skills to consult with our clients regarding their healthcare needs as they approach 65 years old and beyond. Barb grew up in Midwest Ohio. She attended the University of Miami and has a Bachelor's degree from Ball State University. She is also a registered Medical Technologist. After college, she lived in Indianapolis until 1998 when she relocated to Florida. Barb loves our Florida weather. She enjoys Rays baseball, football, golf, fishing, and travel.